As a new father, I'm keenly aware of how much I'll need to save for my new addition's education. So it's fortunate that as a financial publisher I'm also keenly aware of both the short- and long-term benefits offered by a 529 Plan. You can open a 529 Plan — which are called that because of section 529 of the Internal Revenue Code — once your child receives his or her Social Security Number (SSN). This won't take long. My daughter's came in the mail about a week after she was born — Uncle Sam needs to track his revenue-generators, after all. If you're a grandparent, you can open a 529 Plan as well. These accounts are controlled by whoever opens them. That can be a parent, grandparent, or aunt, or uncle. The child who will some day use the funds for higher education is simply listed as the beneficiary. Armed with the child's SSN, you can open a 529 Plan that is operated by either a state or an institution. In most cases, you can open an account with any state, even if you don't live in that state and don't know if your child will attend college in that state. We live in Maryland, my daughter was born in Texas, and the 529 Plan we chose is out of New York. Who knows where she'll end up going to college. The important thing is that you start saving for it now. As with any investment, the earlier you start and the more you set aside in small increments... the bigger your lump sum will be when you need the funds. And that's exactly what a 529 Plan helps you do, along with some additional benefits that you can't get with a regular ol' savings account. Almost every state offers a 529 Plan. And each state decides how it's managed and what you can invest in, so each one is different. We went with the New York 529 Direct-sold plan because it was managed in part by The Vanguard Group, had low fees, a great track record of performance, and had one of the highest ratings at SavingForCollege.com. You should be comparing similar metrics. In addition to direct-sold 529 plans, where you select which funds to invest in, you can also choose an advisor-sold 529 plan. With these plans you'll get an advisor who guides you toward which funds to invest in, but they also generally come with higher fees. For my money I don't think advisors are worth it. A 529 plan is a long-term investment that is best served by holding index funds or low-cost mutual funds. There is no need to pay for an advisor-sold fund. You can compare both direct-sold and advisor-sold funds by state here. 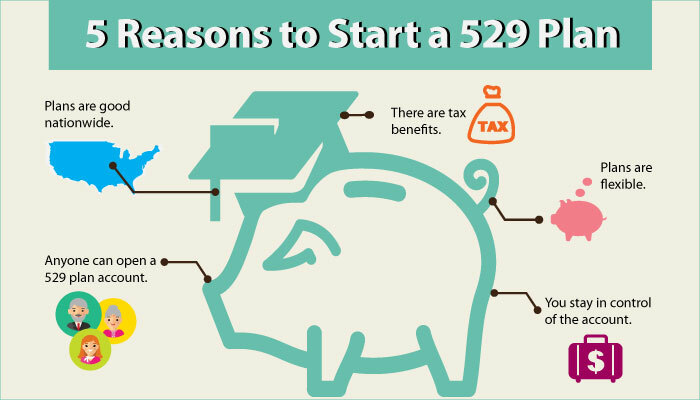 In addition to the peace of mind that comes from starting to save for you child's education early on, 529 Plans offer several other benefits as well. First and foremost are with taxes. While contributions to 529 Plans aren't tax deductible, investment returns in a qualified plan grow federally tax-free and will not be taxed when the money is taken out for college. In addition to Federal tax savings, 35 states offer a full or partial credit for 529 contributions. Here is a state 529 plan tax calculator. Once you decide which account you're going to open, you will be the owner of the account forever. You can select your child (or a grandchild) as the beneficiary, but they have no legal rights to the funds. You decide how they're invested, and you decide when they're withdrawn. You can take money out any time, but keep in mind there is a 10% tax penalty if funds are taken out for non-education-related spending. These plans are simple and low maintenance. I went to the state's 529 plan webpage, and was able to open an account in just a few minutes' time. All you'll need is the future student's social security number to assign them as the beneficiary. You can decide to contribute whatever amount is comfortable for you, either monthly or quarterly. I linked ours to our checking account so it is truly set-it-and-forget-it. You don't have to report contributions on your taxes. You won't get a 1099 form until you make withdrawals from the plan. And you can deposit $14,000 per year ($28,000 for couples) that qualifies for the annual gift tax exclusion. There are no other age, income, or contribution limits. 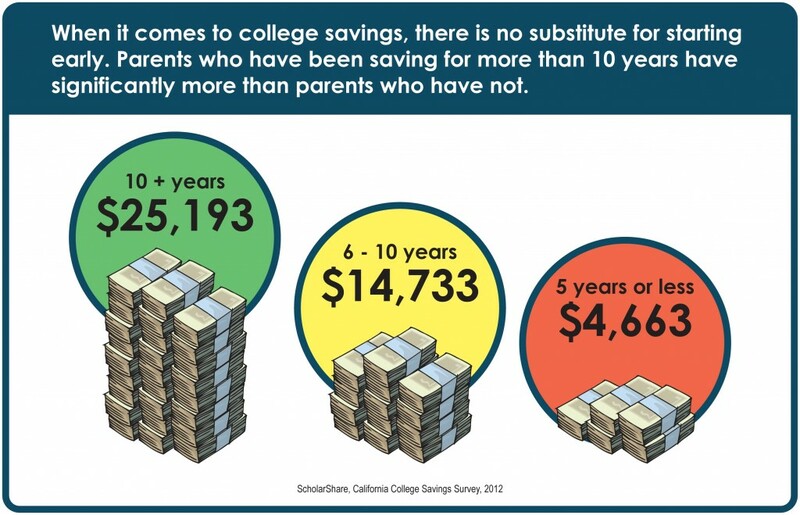 So if you're a parent or grandparent wanting to kickstart your special one's college savings, there's no reason not to open a 529 plan today. Compare plans between states for both performance and costs. Some states offer 529 plans with no annual fee. More research on that here. A direct-sold plan will be cheaper than an advisor-sold plan, and just as effective regarding long-term investment performance. That's it. 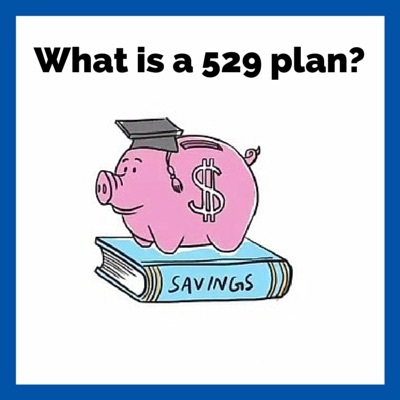 Get out there and research which 529 plan is best for your family. When it comes time to pay for college... you'll be glad you did.